A commercial grid depends on its customers for its income. It needs to have a plan to promote these customers. Here is one such plan: Let all customers have a small promotional area in the welcome sim, where new people first arrive if they have not selected a specific destination in the grid. The builds here are by customers of the DigiWorldz. The builds tell about each region and provide walkin TPs to the region. The empty parcels await builders. Many of the builds are still under construction. Firestorm Hop, paste in nav bar of Firestorm, enter. 2015 BIZ: PROMO: Aviation radio: Music to fly by. And to promote your aviation event. Music to fly by. And promote your aviation event. To play this stream on your virtual world parcel. The video is addressed to educators and others who want to see how they can easily create and animate locations (film sets). State and local governments have obligations under the ADA. You want them to meet those obligations. You want the people affected by government actions to know those obligations, so they can hold governments responsible. You tell people with disabilities what their rights are under the ADA, and how they put any issues to the governments. You can use virtual worlds to do that. Matthew Taylor explores new RSA thinking on how we can empower people to choose to pursue creative lives, and to contribute to enabling others to do so as well. 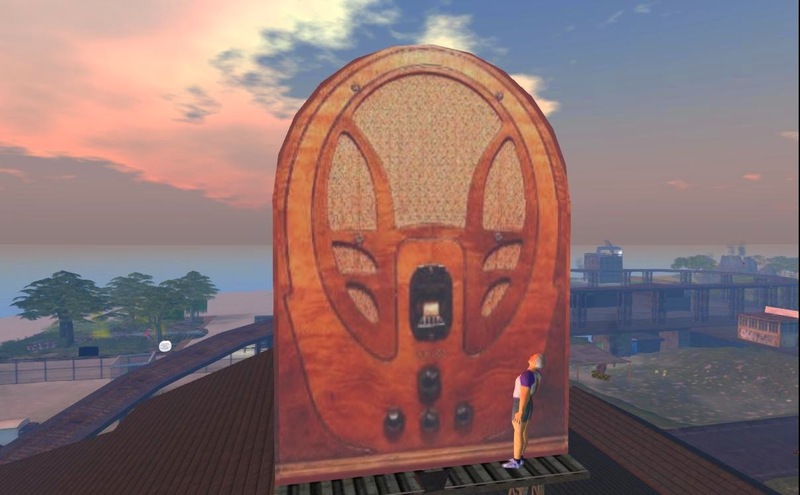 The Hypergrid WIP show Starting Friday, May, 12, Noon. Art park. Sandboxes. Hold contests of content creation. Shops to sell into that traffic. Does it work? I don't know. But it is a better business plan than "If you build it, they will come." 2015 PEOPLE: ART: SL12B. What Dreams May Come. Applications open till May 13. SL12th Birthday. 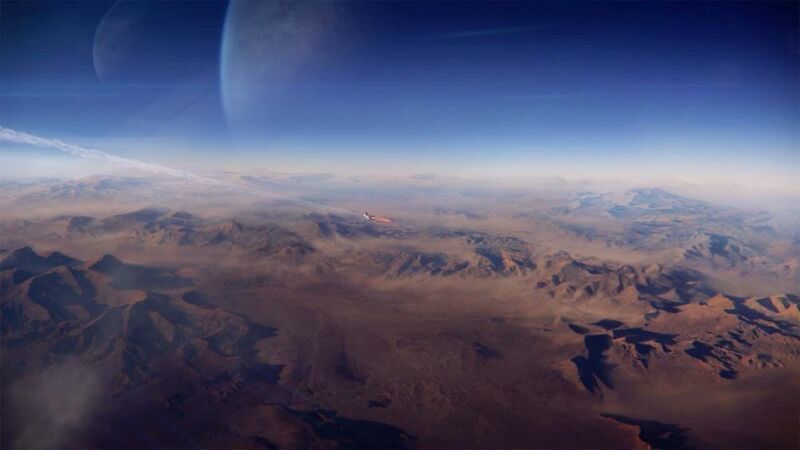 What Dreams May Come. Applications open till May 13. 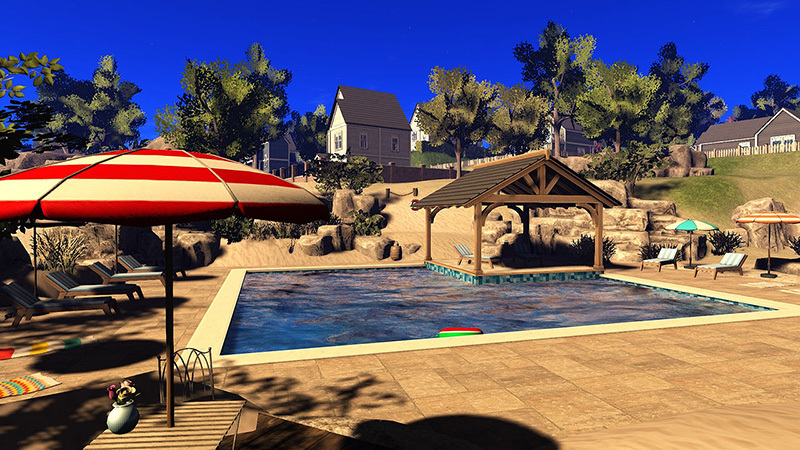 Sunday, June 21 at noon SLT: Sims open! Announcement and schedule for exhibitors, performers and others. 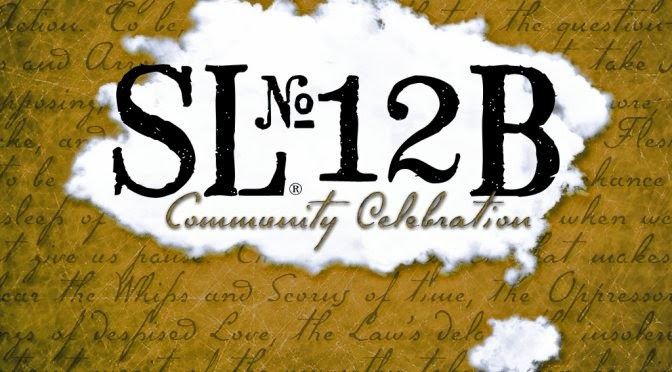 Wednesday, April 22: SL12B Announced! Tuesday, June 23: The Birthday! Art you walk into. Art you explore. Bryn Oh just opened a new work of installation art on Immersiva. It is not just a painting, not just a 3D build, but an immersive story. Ziki Questi told about the story better than I could, so I will leave that to here. I will just show the part about my favorite art theme: Explorable art. Be sure to get the HUD. 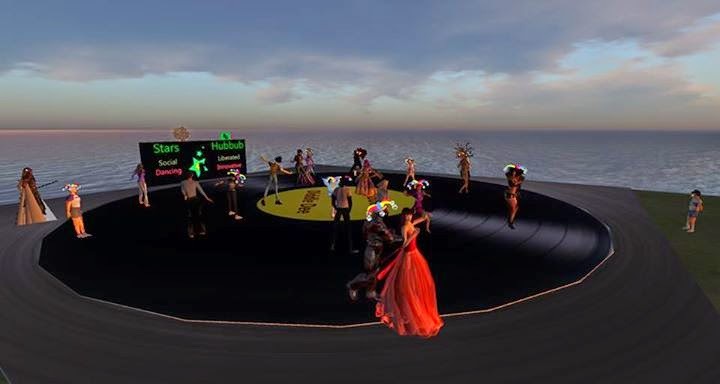 To publicize the creatives of the Hypergrid, New Media Arts is sponsoring "The WIP show", a show in which people who are doing something creative on the Hypergrid can show and tell about their projects. This article outlines an operating plan for this show. 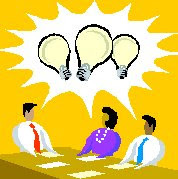 The outline may be useful for planing other, similar projects. Feel free to use it. Serene Jewell proposed a Show and Tell series at Cookie II. I told her that New Media Arts would be happy to sponsor such an event on Cookie II. She is willing to be organizer and MC. Below the fold is my preliminary set of suggestions for an operating plan. I leave to Serene final decisions for everything that does not require action from Cookie II. I will represent NMA in this matter. A recent Metaverse Tour visited Tomb Rider, a sim that normally rests, as an inactive OAR file, in Miney's Musings. It is temporarily on display in Kitely, courtesy Min Tigerpaw. Anyone can get a free copy of the OAR file and install it in any grid that allows you to upload OARs. 2015 EDU: PEOPLE: New way to organize. About nursing. What if it were about education? New way to organize. About nursing. What if it were about education? We need new solutions based on ecological, human-friendly relationships. We need new organizational structures focused on meaningfulness and new economic principles. With a new consciousness we can improve quality of life for vulnerable citizens at a lower cost. SEO tips for promoting your virtual community. Some suggestions on how to get more interested visitors to the website about your virtual community. 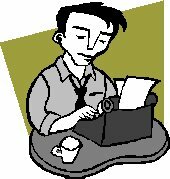 Use SEO with attention to the reader, not to the search engines. You don't care about just getting visitors, you care about getting visitors who will be interested in what you have to offer. 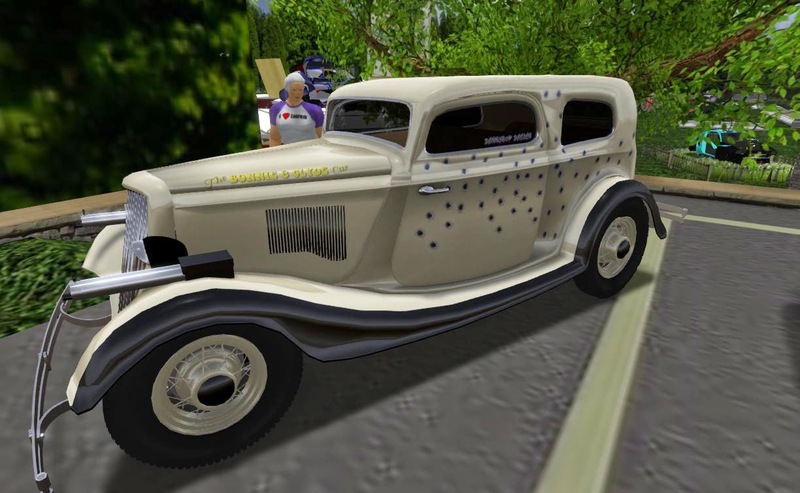 Model cars of Second Life. Lots of kids build model cars. Some grown-ups collect model cars--they usually don't have time to build the cars. Too busy. Or they have forgotten how to play. The people of Second Life build and collect. No mess. No workroom. 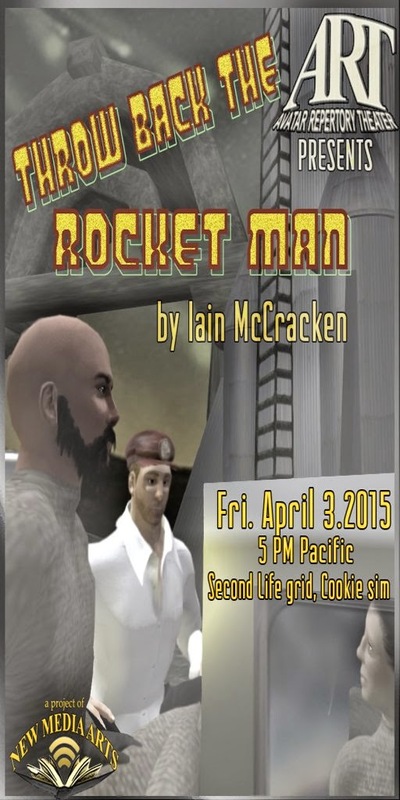 And besides the people of Second Life have remembered how to play. What are those metal cylinders next to the headlights? 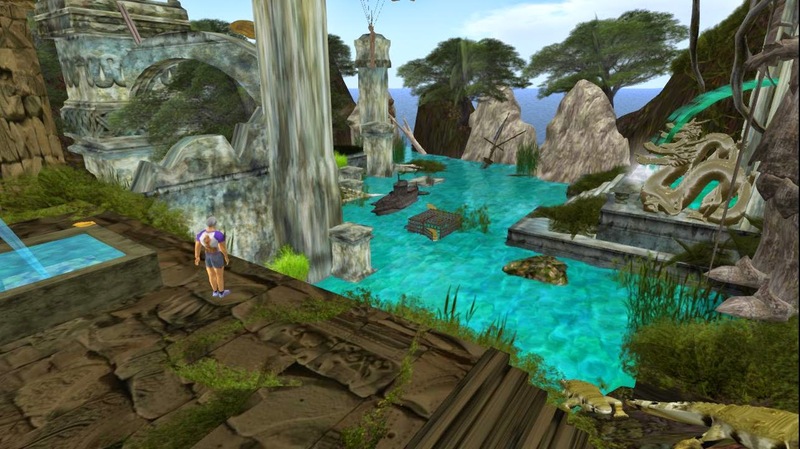 2014 PEOPLE: OPENSIM: I'm not going there unless my friends go there. I'm not going there unless my friends go there. and other alternatives to Second Life. I checked them all out, of course. Testing HG addresses and address forms. HG travel has a bothersome number of fault modes. To be a happy hypergrid traveler, you need a fair amount of Fault Tolerance. The good side is that Fault Tolerance is a useful life skill. Here is your chance to practice it. But sometimes it does not work. After the first failure, try again. I find that about half the time the second try works. Since I have been posting videos of bike riding from OpenSim, I felt I should post this video of motorcycle riding in Second Life. Here's a video about two of them !! The power of the mind and it's ability to affect physical change may shock you! Find out how simply imagining can make it so. 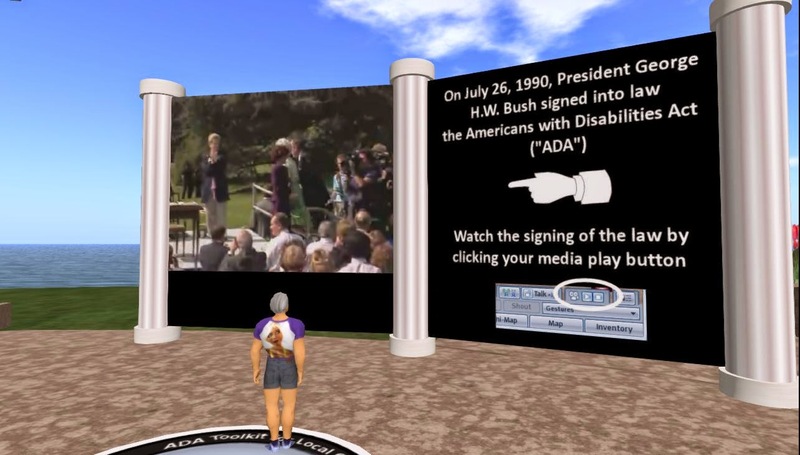 Many of these methods are also available with other viewers and with Second Life. Join these for year-round information and discussion. Don't miss these 2 contests above. 2015 PEOPLE: Housebound does not mean home alone--voluntarily housebound in virtual worlds. Housebound does not mean home alone. The web is pages. Virtual worlds are people. Voluntarily housebound? Yes. By choice. Oh, I walk outside on occasion, when the weather is nice. And I go out once in a while for medical attention. And I chat from time to time with the people in old folks home where I live. But those people are old. Most of my friends are online in the virtual worlds where I also live. The are younger. In a virtual world you don't need dancing lessons. You just need an animation. Background: I am 85 years old. I live in a retirement facility. They provide my meals so I don't have to do grocery shopping. I can order anything else I need from Amazon, so I don't leave my computer when I go shopping. I gave away my car several years ago because it was costing me more in time than it was worth to me. I really needed it less than once a month, but I had to drive it once a week to be confident it would start. Now, if I ever want to go anywhere, I can call a cab. For what I was paying to support my car, I could pay a lot of cab fares. I am telling about this because lots of people are housebound, not voluntarily. They could be enjoying what I am enjoying. 2017 HG: PROMO: HGProject. The BeatThis list for Hypergrid. Current status. A while back I started the HG BeatThis list. It is a list of things I think we need in the Hypergrid, based on suggestions I see in Hypergrid community sources, along with what I think are the best examples we have at the time of writing. In this article, I will summarize the objective, the item goals, and the current status. I will keep this item updated as items and information are added. Publicize HG needs for specific communities. Show the current status of each item. Report progress on each item. The comments section of this article. The comments section of any article about the HG BeatThis list. 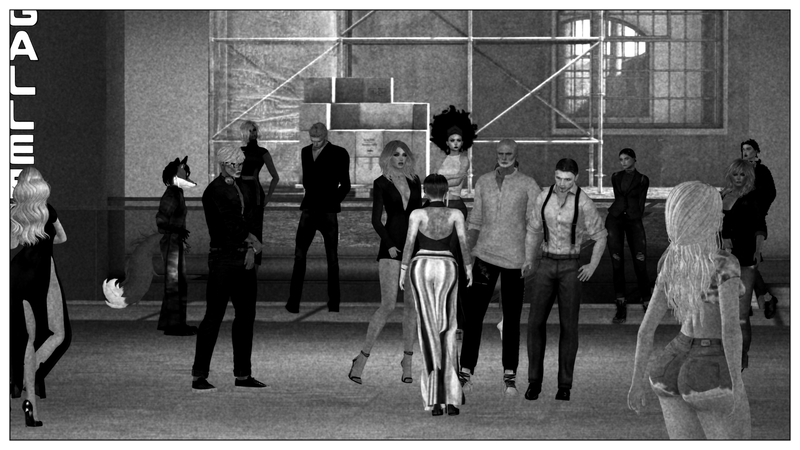 Hypergrid Business (see Maria's Survey, August, 2014). 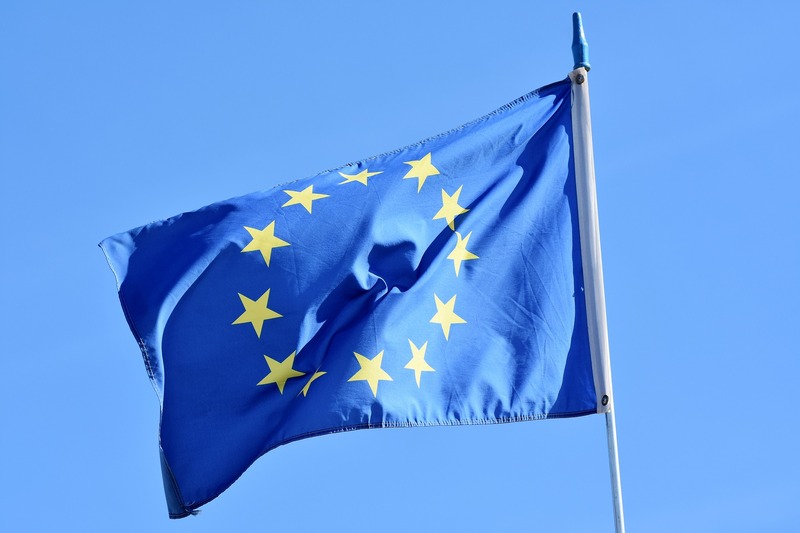 Comments on this blog are most likely to get noticed. Specific items that are likely to have a specific solution. Solutions or semi-solutions that may beat the solution currently listed. You don't have to write a story. The outline is given in a series of questions. You just answer the questions. Plenty of time to do this before midnight April 12th slt, when submissions are due. The theme for the April 2015 Issue of the Virtual Education Journal (VEJ) is Professional Learning. We want to hear from you, our readers. Tell us your story. 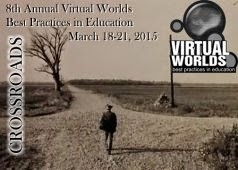 How do you best learn in a virtual world/environment? What makes virtual learning meaningful for you as a learner? If you had to pick one, what is your greatest EPIC learning experience (that BIG, AH-HA MOMENT) that you will never forget as long as you live! If your story is picked for the April 2015 issue of VEJ, you get 1,000 Lindens. Questions? Contact Roxie Neiro at rvojtek@edovation.com. Matthew Broyles 11AM PST TheMatthewShow Returns! General Ignorance - John Lloyd. It's what we don't know that really matters. Legendary producer and QI mastermind John Lloyd visits the RSA to share the culmination of a life's reading -- that it's what we don't know that really matters. 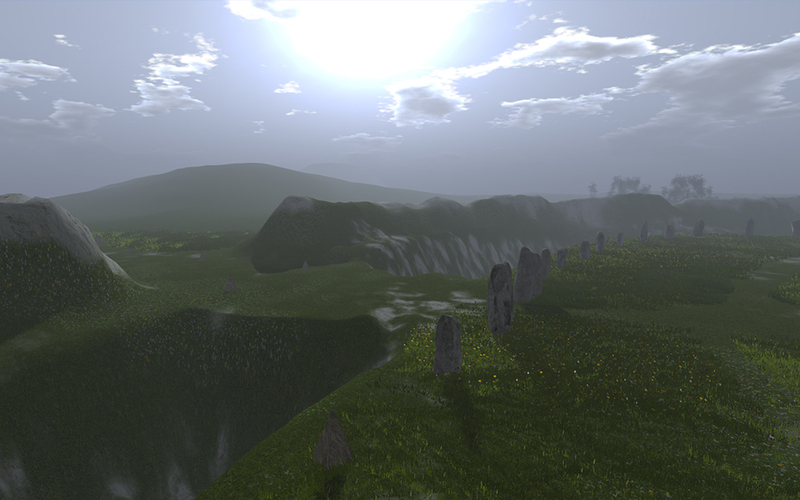 The ideal Hypergrid address form would do what a SLurl does in Second Life. I can put it in a blog article or a post on social media. 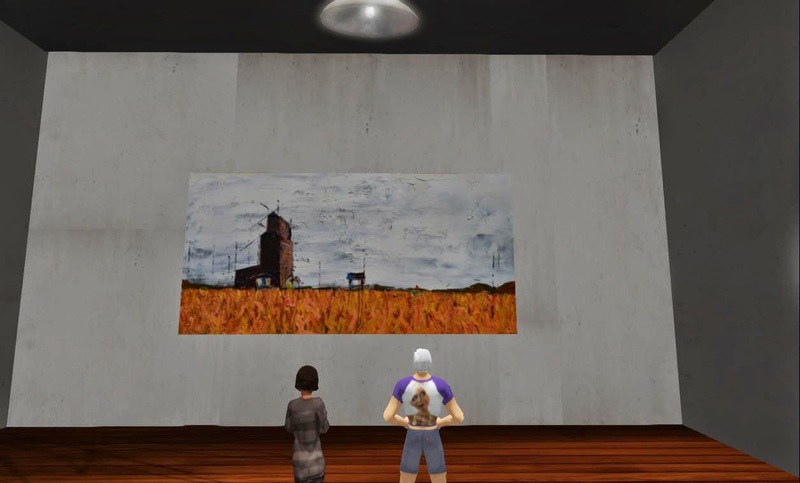 You can click on a SLurl or drag it onto your viewer screen and the system takes you to that location, including the coordinates. The method in Firestorm does not do all that, but I can put it in a blog article, you can paste it into the address bar, and it will take you to that location, including the coordinates. But that only works reliably ingrid. we need to make Hypergrid addresses more user friendly. We need one stop dropping you where you want to go. We need to be able to tell people to paste the address into the navigation bar. Not a long story about "open your world map (ctrl m) ..."
Normal people will not do that. Uses the same bar in both steps. Could work in one step if Firestorm upgrades to the Hypergrid hop. Tom’s gaze drifted upward into the sky, and a deep sadness covered his face.“Tell me something, Jacob. Do you think there are people out there." Avatar Repertory Theater presents "THROW BACK THE ROCKET MAN", adapted from the novella by Iain McCracken from his collection "Dreams and Snippets"
Actors: Sodovan Torok playing Jacob, Ada Radius playing Baxter and Mary, and Sam Brautigan playing the Tom (Rocket Man), Ed and the Amish Guide.SET by Ada Radius, featuring the artwork of Aley. All pieces free to copy.